1. Wash and soak basmati rice for 10 mins in water , drain and reserve. 2. Marinate chicken with curd, turmeric pwd, red chilly pwd and salt. 3. In a deep frying pan, heat 1 tbsp of ghee and cooking oil..
4. Add finely sliced onion and fry on a medium flame, till they turn golden. 5. Add chopped tomatoes and allow to cook. 6. Take ginger, garlic, chilly pwd, green chilly, mint and coriander leaves in a blender. 7. Blend it to smooth paste. 8. Add this masala paste and sauté for 6 to 8 mins. 9. Now add marinated chicken pieces, and combine well. 10. Allow to cook in medium flame for 4 to 5 mins. 11. Heat ghee in a pressure cooker. 12. Add cashew and raisins. 13. Fry to golden and keep aside. 14. In the same ghee, add cloves, cinnamon, cardamom, star anise and bay leaf. 16. Now add basmati rice, shallow fry for 4 to 5 mins. 17. Finally add the curry and chicken prepared in step 10. 18. Taste and adjust salt and seasonings. 19. Add 5 ½ cups of water. 20. Cover with lid and pressure cook for 1 whistle and simmer the flame for 5 mins. 21. Once the pressure turns off, gently combine the rice. 22. Add the golden fried cashew and golden raisins. I have never made biryani in presssure cooker before, this looks so tasty and delicious. Wow they looks absolutely tempting and colorful.. Who will say no to this.. yummy!!! Jay..Hats off to you dear, biriyani looks scrumptious and irresistable, nobody can say no to this..Super super..
Pressure cooker idea is nice. It will easy and nice one. thats so perfect.. shall try out soon.. The only challenge wud be to cook the rice, which I always mess up..
We love curries and I can see thst there is a great collection right here. Thanks for popping in at www.my-easy-cooking.com. I will be your faithful follower from now! Gosh that both looks and sounds delicious! Thanks for stopping by my blog tonight - lots of deliciousness over here I see! I love pressure cooker briyanis very much, urs turned out super prefect and extremely tempting Jay. ohhh jay this si simply just divine...i have bookmarked and amsure to try.. i will let u know how it turned out :)...thanks so much for taking ur time and sharing ur thoguhts on mine :)..it really means a lot to me :)...keep posting more..
Wow....biriyani looks very tempting and yummy. Looks really delicious! I have not tried cooking rice in a pressure cooker. Maybe I should try it soon. that looks great! Must save you so much time using a pressure cooker! Hi Jay - thanks for stopping by my blog. I'm so glad you did! I have a friend from Bangladesh who makes the most amazing food - but doesn't have any recipies (she does it all from memory) - so this is like hitting the jackpot! Kormas & Currys - oh my! I can see I'm going to be spending quite a bit of time going through your old posts! Oh Jay, this looks marvellous! 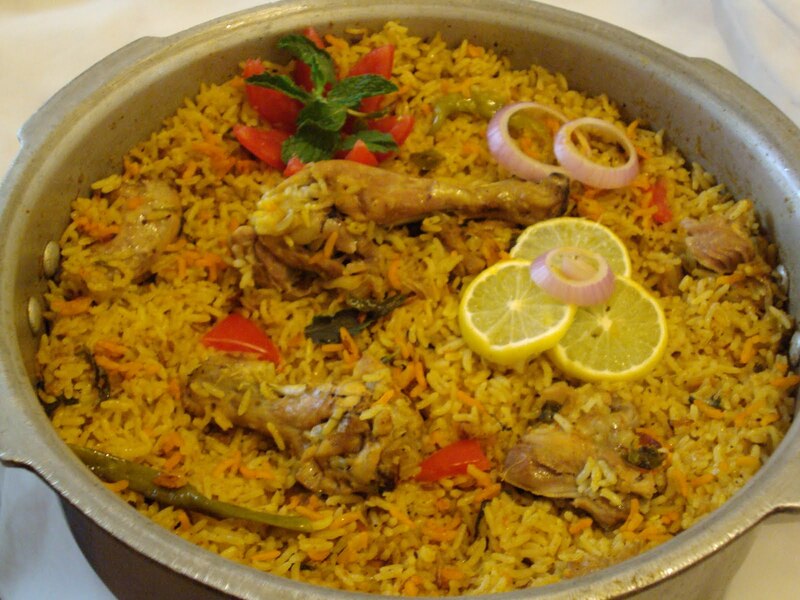 Briyani is one famous dish over here in Asia. Love this flavourful rice! Hope you're having a wonderful day. I wander if I could do the same marinade for tofu instead of Chicken, since I am a vegetarian...do you think that it could work? You outdid yourself again! How do you find to work, cook, and blog?! Where are you located? pressure cooker method is the easiest and tastes good too.. 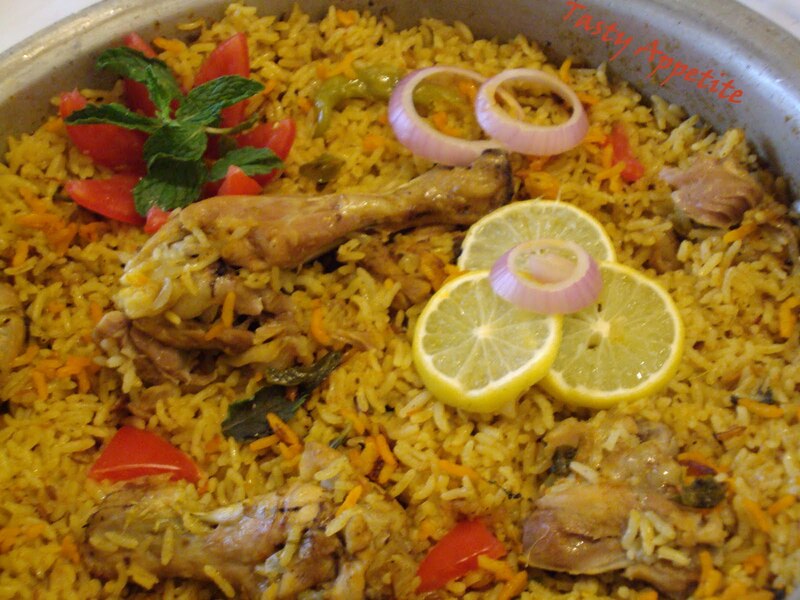 Delicious biriyani, love it..You are such an expert cook, Jay..Wonderful recipe..Bookmarked this recipe..
Thanx for sharing ur thoughts...! I love reading every comment...! Thanx dear for ur inspiring words. I am interested in experimenting new recipes and to delight my kids n hubby. And am happy to share with u all. The credits go to my supportive family, as they keep their tolerance level to wait at dining table, till I finish clicking...hehe...!!! 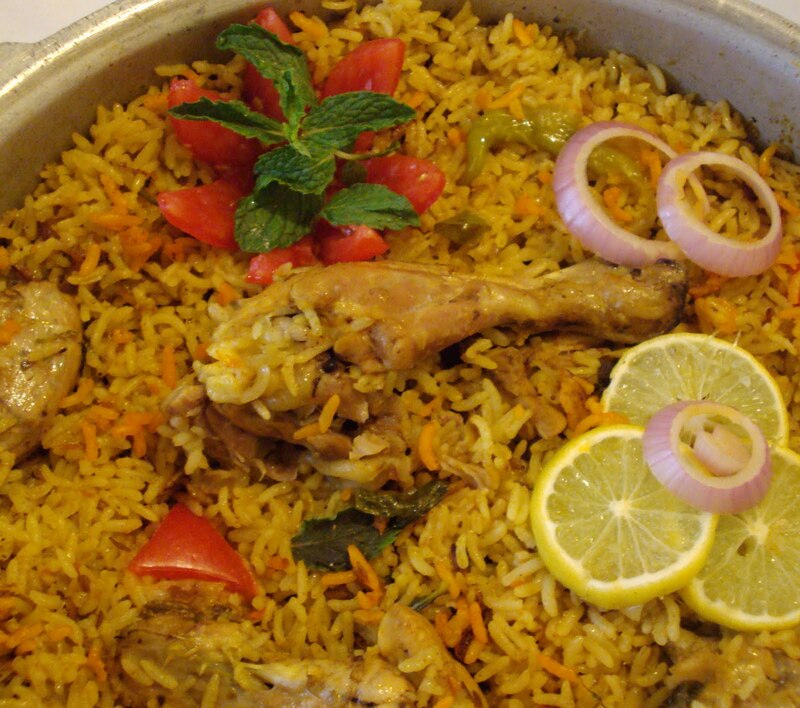 hey jay, biriyani looks soooo yummy, the picture is too tempting..
First time here. The biryani looks amazing, Jay! Welcome to my space Vani...Let me know if you try out this dish...! Jay, I never cook briyani with pressure cooker. It's great idea! I will try one next time. Thanks for sharing with us!!!! Celebrating Dad’s Special Event Round Up…!!! Thank You, My Dear Friends! !